Born in 1968, Troy Kaiser was and is a native of Colorado. He grew up in Aurora, CO and graduated from Overland High School in 1986. Upon finishing high school he began working for his father, Junior, at Kaiser Enterprises. Troy was always a member of his dad’s top fuel racing team and eventually became the crew chief. 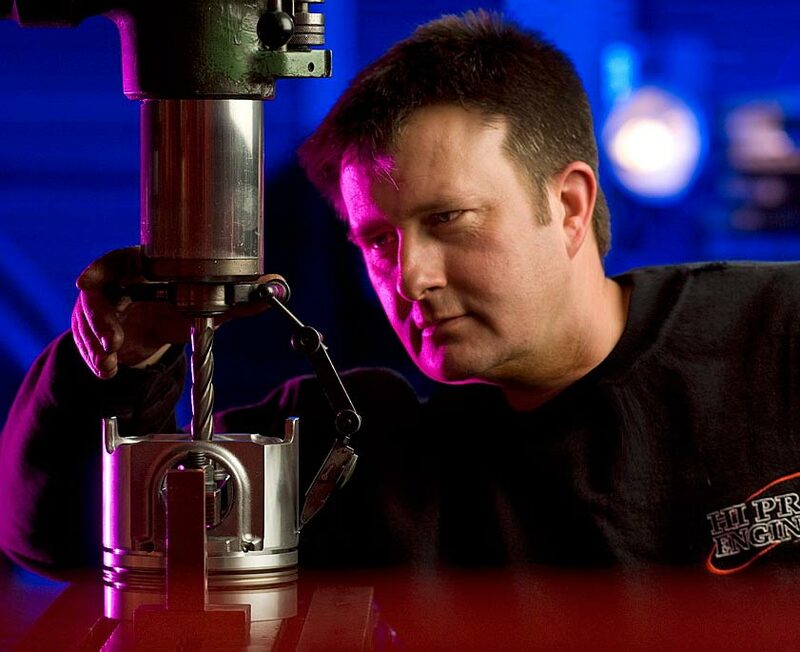 Troy left Kaiser Enterprises for a brief time and became an electrical apprentice, yet the passion of engine machining and racing was to strong and brought him back into the family business. Troy married Richelle in 1992. Their engagement was very short as they started dating at a drag race and planned their wedding around the same race a year later. Richelle is also from a racer family and appreciates the sport. Troy and his father worked and raced together several years before his dad retired from racing in 1995. Troy started his own racing career in 1997 with some big shoes to fill as Junior was inducted into the Colorado Racing Hall of Fame in 2007. In 2002 Troy and his wife purchased the business from his father and step-mother. Troy also welcomed his first son, Landon into the world of the same year. He was extremely busy learning to make business decisions and plans along with learning to be a dad. Two short years later in 2004 his second son, Branson, was born. Both boys enjoy being at the shop with dad. There is a big possibility they will be third generation racers given their interest in anything that has wheels. Troy and his family reside in Littleton, CO. In his spare time he enjoys drag racing (of course) along with snowmobiling. He is an active member of Ken Caryl Baptist Church and he loves spending time with his family and friends.